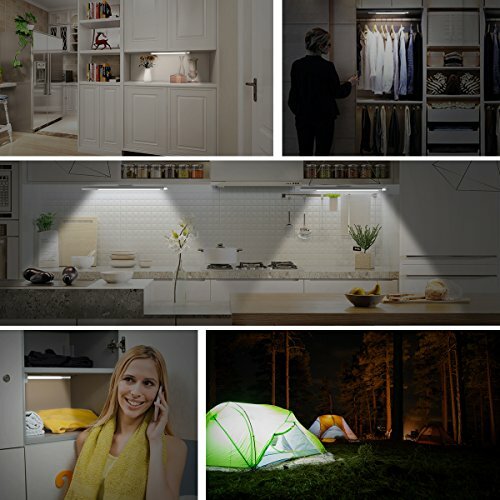 LOFTER motion sensor closet light contains 39 energy-saving and motion sensing LEDs to illuminate dark areas, ideal for the bedroom, wardrobe, closet, cabinet, workshop, kitchen cupboards, bookcase, shed, garage, hallway, kitchen, sink, stairway, laundry, drawers, steps etc. How to choose ON/OFF/AUTO Mode for this Motion Sensor Light? A: Long Press Introduction 1.Mode 1 (Always On): Long press the switch about 2 seconds to turn on the light and it enters into Always On Mode. 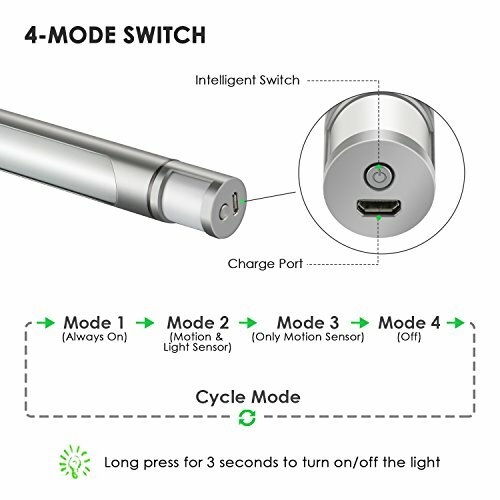 2.Mode 2 (Motion & Light Sensor): After turn on the light, short press the switch, green indicator flash for 1 second, it enters into Motion & Light Sensor Mode. 3.Mode 3 (Only Motion Sensor): Short press the switch twice, red indicator flash for 1 second, it enters into Only Motion Sensor Mode. 4.Short press the switch repeatedly, Mode 2 and Mode 3 will be chosen repeatedly. 5.Mode 4 (OFF): Long press the switch about 2 seconds to turn off the light. B: Short Press Introduction 1. 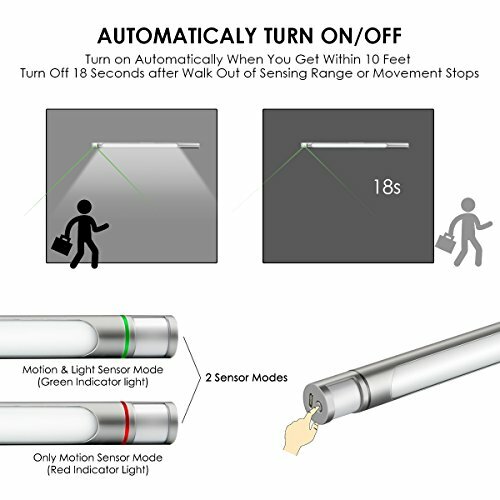 Mode 1 (Motion & Light Sensor): Short press the switch to turn on the light, green indicator flash for 1 second and it enters into Motion & Light Sensor Mode. 2. Mode 2 (Only Motion Sensor): Short press the switch twice, red indicator flash for 1 second, it enters into the Only Motion Sensor Mode. 3. Short press the switch repeatedly, Mode 1 and Mode 2 will be chosen repeatedly. 4. Mode 3 (OFF): Long press the switch about 2 seconds to turn off the light. 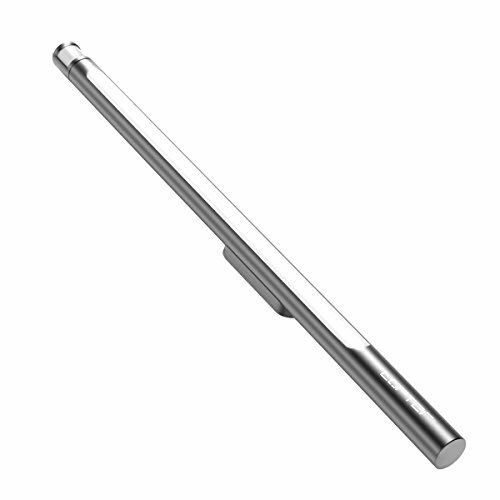 【UPGRADED 2 SENSOR MODES】Compared to traditional Motion Sensor Closet Light , LOFTER Closet Light has 2 Sensor Modes , You Can be Able to Turn Off the Light Sensor and Turn On by Motion Alone. 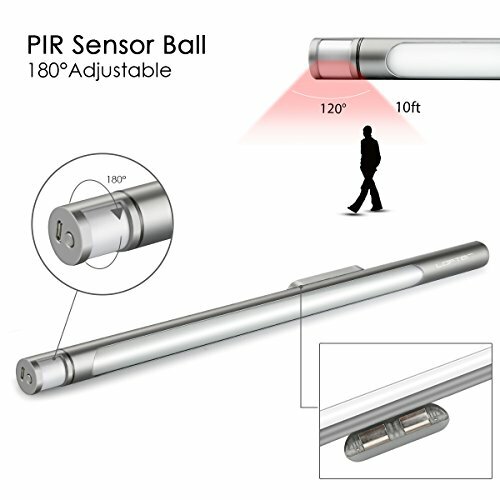 Light will Turn on Automatically when you get within 10 Feet and Turn off 18 Seconds after you Walk out of its Sensing Range ; Under Motion & Light Sensor Mode , it only works both the Ambience is dark enough and the Motion is Detected. 【SUPER BRIGHT LEDs】Never Stumble in the Dark ! High Lumens Design (240LM Pure White Light) , it is Far Brighter than Other Wardrobe Lights and Provide an Impressive Amount of Lighting , very Easy to Find what you're looking for and Perfect to light up in a Large Space where there is no Light System. 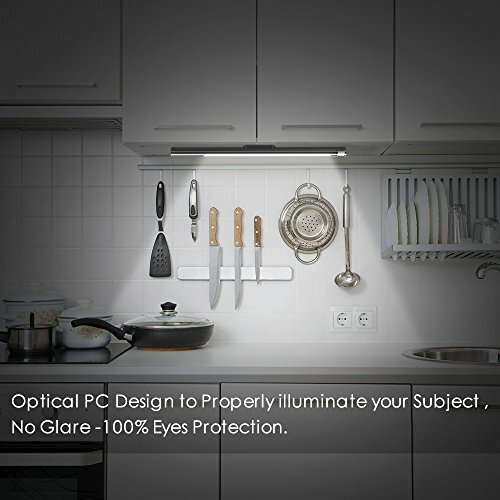 【4 MODES & RECHARGEABLE】: Motion & Light Sensor Mode , Motion Sensor Mode , Always On and Off - 4 Working Modes Motion Sensing Light meet All your Different Needs. 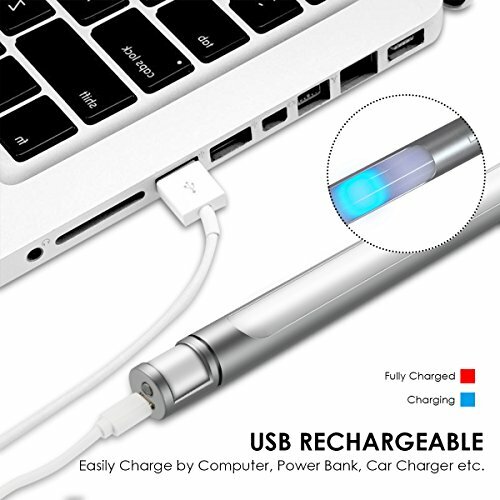 Built-in 2200mAh Rechargeable Lithium Battery , it can last for over 4 Hours (Always On Mode) and 1-2 Months (Sensor Mode--Activate 10 times a Day) in a fully charged. NEVER Replace AAA Batteries Frequently. Energy Save & Save More Money! 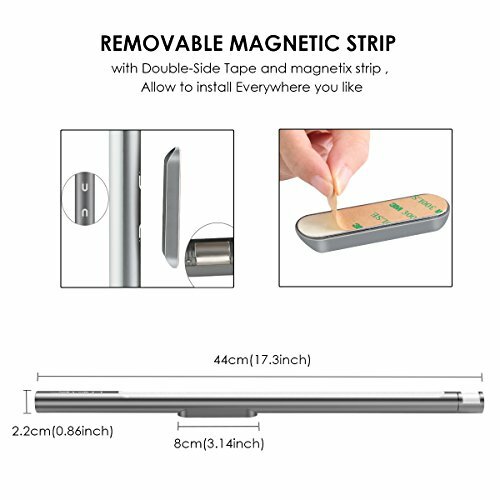 【EASY TO INSTALL】Our Under Cabinet Light Equip 3M Adhesive Magnetic Plastic Bracket and Screws , Simple to Install by 2 Ways and Remove, No Electric Wire Required . Allows you to Change the Location of it or switch between Different Locations. Ideal for your House's Closet , Wardrobe, Cabinet , Under Counter , Bedroom , Workshop , Basement , Garage , Stair etc. 【100% SAFE & NO RISK】: Providing the Best Quality Product and Best Customer Service is our NO.1 Principle. 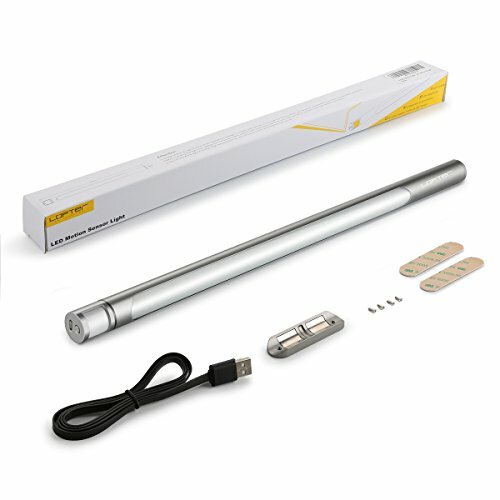 We offer a 30 DAYS MONEY BACK GUARANTEE and 12 MONTH WARRANTY for this LED Wardrobe Light . Purchase it now by click "By now with 1-Click"or"Add to Cart". If you have any questions about this product by LOFTER, contact us by completing and submitting the form below. If you are looking for a specif part number, please include it with your message.